The Oslo group on energy statistics is tasked to address issues related to energy statistics and contribute to improved international standards and improved methods for official energy statistics by pooling expertise in the energy community. The main output of the Oslo Group to date has been the development of the International Recommendations for Energy Statistics, adopted by the UN Statistical Commission in 2011. The focus of this latest meeting will be on the new working groups identified at the previous meeting, covering topics such as the uses of administrative data sources for energy data collection and metadata, use of electronic data collection and SDMX, energy data dissemination practices and quality reviews of energy data. The 8th meeting of the Oslo Group will be held in Baku, Azerbaijan, on 24-27 September 2013 and will be hosted by the State Statistical Committee of Azerbaijan. The meeting will gather experts in energy statistics from countries and international/regional organizations to discuss issues in energy statistics and advance concepts and methods. This meeting of the Oslo Group will focus on the review of the complete draft of the Energy Statistics Compilers Manual (ESCM) which is being prepared to support the implementation of the International Recommendations for Energy Statistics (IRES) and the System of Environmental-Economic Accounting for Energy (SEEA-Energy). It will also discuss future directions of the city group. 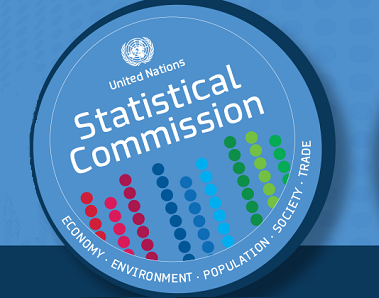 The United Nations Statistics Division (UNSD) in cooperation with the State Statistical Committee of the Republic of Azerbaijan is organizing an International Workshop on Energy Statistics. This workshop is being organized as part of the implementation process of the International Recommendations for Energy Statistics (IRES) which have been recently adopted by the United Nations Statistical Commission. The main objectives of this Workshop are to train participants on the implementation of the recommendations contained in IRES; review and discuss issues that countries face in the collection, compilation and dissemination of energy statistics and share national experiences. The discussions at the Workshop will also contribute to the development of the Energy Statistics Compilers Manual (ESCM). The United Nations Statistics Division (UNSD), jointly with the National Institute of Statistics and Geography (INEGI) of Mexico is organizing an International Workshop on Energy Statistics. The Workshop is part of the consultation process on the draft International Recommendations for Energy Statistics (IRES). The main objectives of the Workshop are to: train participants on current methods and practices in energy statistics; review and discuss issues they face in the collection, compilation and dissemination of energy statistics; and contribute to the development of international recommendations for energy statistics. Following the decision of the Bureau of the Statistical Commission, Statistics Norway invited countries and organizations to participate at the first meeting of the newly established city group on energy statistics, the Oslo Group, to be held on 6-8 February 2006 in Oslo, Norway. The Oslo Group is designed to be a forum for the countries to discuss methodological issues, learn from good practices and to contribute to the methodological development of energy statistics. In a longer perspective, an objective will also be to harmonise energy statistics among countries, and thereby support the improvement of international energy statistics. As content and success of the work of the city group depend on the contributions from the countries, countries are encouraged to consider which area of energy statistics they are to contribute in the coming years of work ahead of Oslo Group. UNSD, in collaboration with International Energy Agency (IEA), the Organization of Petroleum Exporting Countries (OPEC), the Economic Commission for Africa (ECA) and the Economic Community of West African States (ECOWAS) Secretariat, is organising a workshop on energy statistics with a special focus on oil statistics. The workshop will be hosted by the ECOWAS Secretariat and will be held in Abuja, Nigeria from 15 to 17 March 2005 within the framework of the project on Strengthening Statistical Capacity-Building in Support of the Millennium Development Goals in the region of (ECOWAS). The objective of the workshop is to build and increase capacities to improve basic energy statistics and indicators and also provide a forum for exchanges of information on the status of the national energy statistics and establish a network of energy statisticians in selected ESOWAS countries.